I have a few neighbors and friends with passion fruit vines growing in their backyard and hence I have a free source of passion fruits (I'm aware that passion fruits do not grow everywhere. Fortunately for me, this favorite fruit of mine is indigenous to my region.) In fact, not only do I have a free source, I have too many passion fruits to know what to do with. Thanks to my mom (one of my passion fruit sources) I discovered an easy way to make pure passion fruit ices in individualized servings. Stick the passion fruit in the freezer for a few hours. Cut passion fruit in half with a sharp knife. Let passion fruit melt for a few minutes. Dig in with a small spoon. Yes, its that simple. 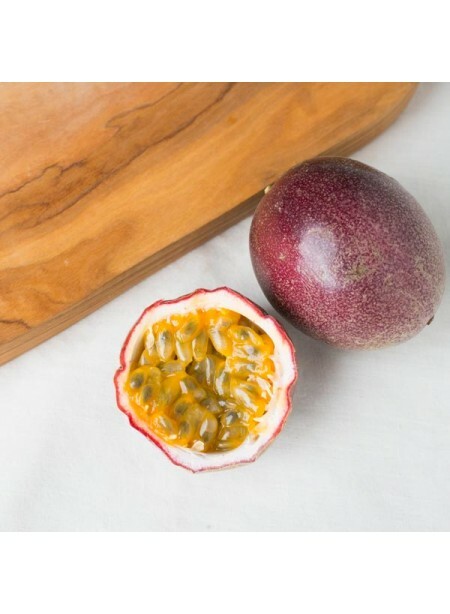 No ingredients necessary aside for passion fruit, and no labor required aside for opening and shutting the freezer door and cutting the fruit in half. The frozen passionfruit comes apart easily and is not just a lump of ice. This “froze-fruit” has no additives, no preservatives, no chemicals, no food colorings, no unhealthy sugars. It comes in a neat little package, requires no serving dish, and is just the perfect size for a mid-afternoon or late-night snack. These ices can be a bit tart. I enjoy tart things. If you prefer less tart, drizzle some honey or sprinkle some sweetner on top of your passionfruit before digging in.